Three days of public workshops, facilitated discussions, and story gatherings focused on practicing compassion-based skills within our personal and public lives. 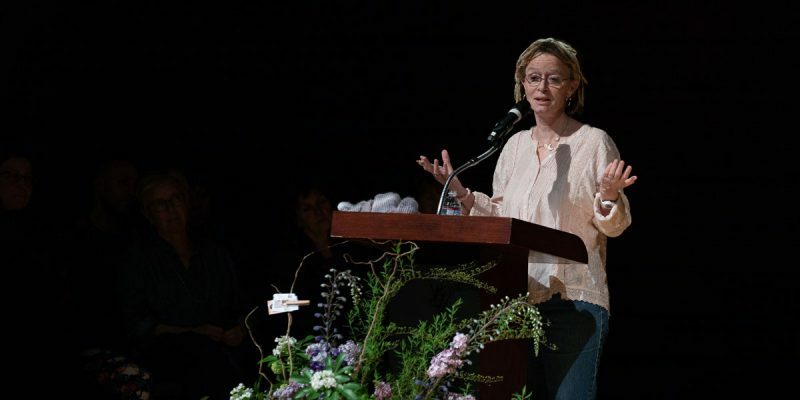 The featured attraction of the conference will be a Friday evening talk and Saturday morning conversation with celebrated author Anne Lamott. Full conference details at findingourwayashland.com. The Hearth presents “The Kindness of Strangers.” Six local residents will share a true tale of transformation inspired by kindness. Tellers include Bill Rauch, Jim Westrick, Marjorie Trueblood-Gamble, Vanessa Houk, Candace Younghans, and Hank O’Dougherty. Hosted by Mark Yaconelli. 7:00-9:00pm at Temple Emek Shalom in Ashland, OR. $5 donation to benefit the Ashland Emergency Food Bank. Free tickets available through findingourwayashland.com. Details on these events can be found on our Hearth events page; get free tickets at findingourwayashland.com. 9:00am-4:00pm. “Practicing Compassion: A Personal Retreat.” Led by Mark Yaconelli including a morning conversation with Anne Lamott on the inner work of compassion. $45. Held at Rogue Valley Unitarian Universalist Fellowship in Ashland, Oregon. Tickets available online via findingourwayashland.com and at Bloomsbury Books in Ashland.